9 Ways to Eat Apples This Fall | What's for Dinner? 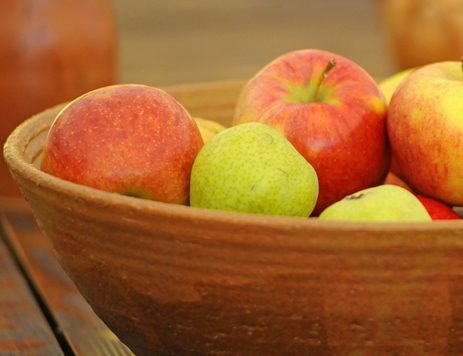 From pies to pickings, apples are an autumn staple. 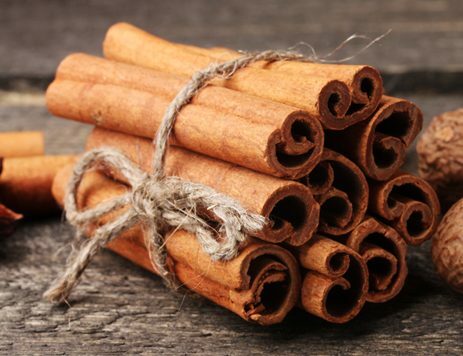 Check out some fresh ways to enjoy the fruit of the season this fall. 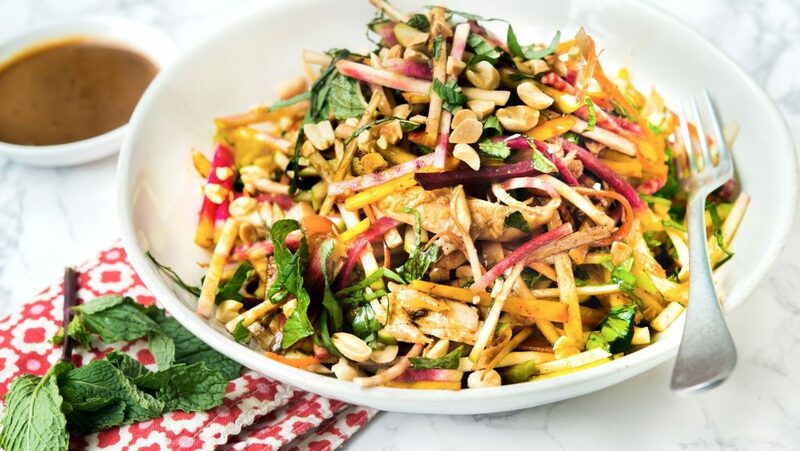 The family will remember this unique Asian chicken slaw, made with veggie root, herbs, apples, peanuts, shredded chicken, and a light balsamic vinaigrette. 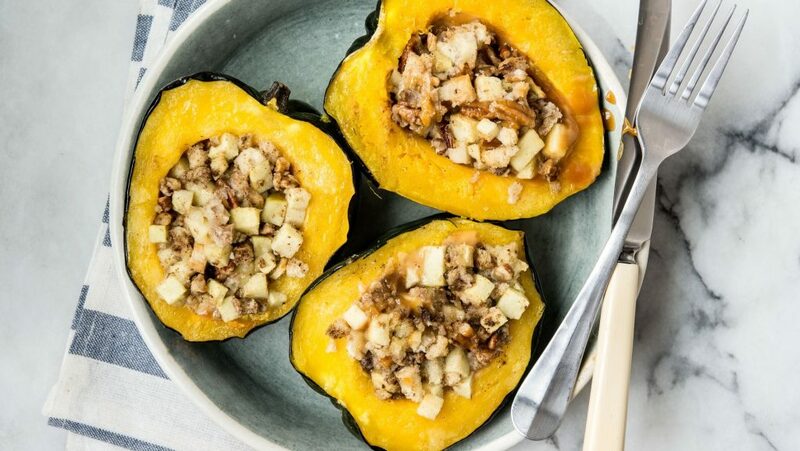 Baked acorn squash is beautiful fall recipe that melds buttery, mild acorn squash with a sweet blend of orange juice, apples, pecans and caramel dip. Serve warm. 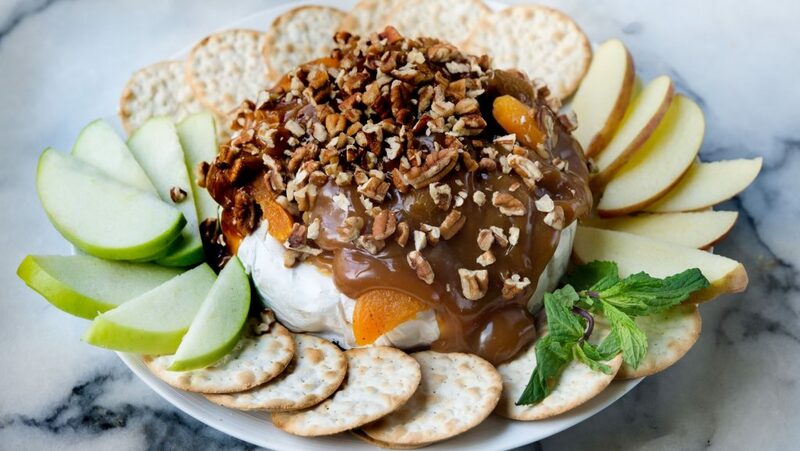 A decadent appetizer of fruited Brie, topped with dried apples, cranberries, apricots and pecans, drizzled with caramel dip. Crunchy, sweet and savory. Fruit, vegetables and meat. This delicious apple chicken salad has it all. Turn a plain rice cake into a sweet treat by topping it with caramel dip, chopped apples, chocolate chips or nuts for the ultimate after-school snack. Slather a giant oatmeal cookie with caramel dip and top with apples, raisins, dried cranberries and chopped walnuts for a delectable dessert that’s ready in less than 40 minutes. Sweet and salty flavors blend together perfectly in this dessert made from pretzel rolls, Golden Delicious apples, vanilla ice cream, cinnamon and caramel dip. Fill parfait glasses with layers of caramel dip, pound cake, tender apples, pecans, dried cranberries and ice cream for a scrumptious dessert in less than 15 minutes. Turn your extra apple pickings and pie crust into a beautiful arrangement of roses for a picturesque brunch staple.